OK. It’s not good news. In fact, it’s all bad news. But let’s not get panicked. There is no doubt Nintendo is going through some hard times right now, but you have to look at them in context and realize that every company has its ups and downs. This is not the Nintendoom you’ve been looking for. Again, do not panic. Most people paying any kind of attention to the video game market expected this adjustment. 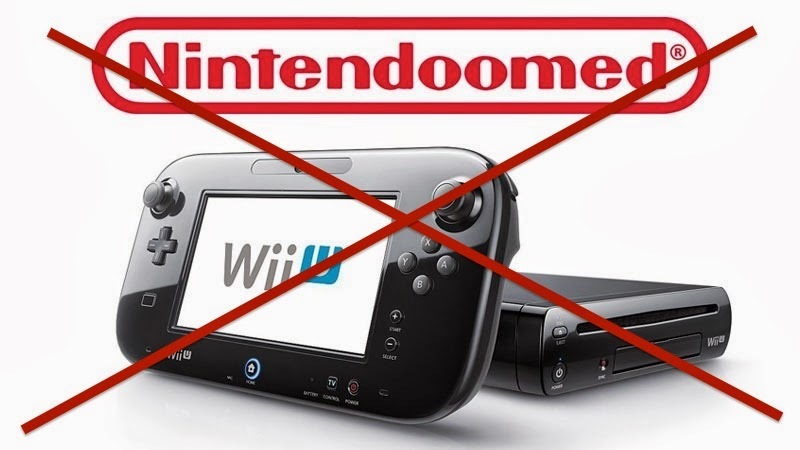 However, no one can pretend this is good news in any way for the Big N.
So where do we go from here now that we know that the recent highly reviewed games and Christmas holiday could not save Wii U sales? Anyone who tells you they know what will happen would be lying. At the time of this writing, it seems that the management at Nintendo are secure in their job prospects, at least. And Nintendo is not known for whiplash decisions. Keep in mind that Nintendo will be fine as a company. Not only do they have more than enough cash to weather an underperforming console, but their successes give them the right to fail now and then. Most likely, Wii U will be another GameCube. An also-ran in sales, but with fantastic exclusive and one-of-a-kind experiences. And nothing is wrong with that. Nintendo has navigated adversity since its founding and this is hardly a blip on its history in the big picture. 2014 has a raft of high profile games coming in and possibly some surprises we aren’t even aware of yet. Most likely, Nintendo will move along as it always has. But one can only hope that they have finally learned from their missteps and will not repeat these mistakes. Again.